Health reforms for the common people have always been on the top of the state and central government’s Schemes’ list. Several developmental schemes are implemented by the authority with the aim of offering better treatment facilities to the common people. 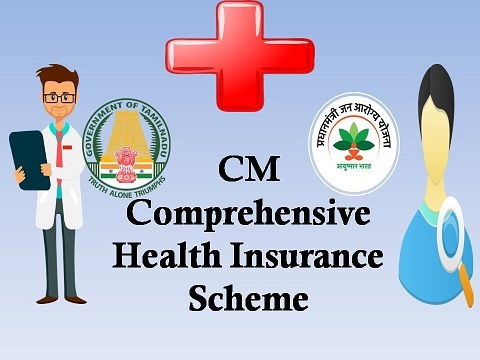 The Chief Minister’s Comprehensive Health Insurance Scheme is a similar step taken by the Tamil Nadu government. Recently the state government has announced that it will hike the amount, offered by the scheme earlier. Linking this scheme with the central health insurance scheme was a great move by the Tamil Nadu government. It not only hiked the treatment amount, but also paved the path for the inclusion of more beneficiaries. Till data, the state authority has spent as much as Rs. 5133 crores, to pay for the medical bills of CMCHIS beneficiaries. Development of health facilities – The key objective of the state government is to offer advanced treatment to the residents of the state. As poor people cannot tolerate the expensive treatment’s burden, they will attain cashless treatment under this program. Increase in financial aid – Earlier, the state government has promised cashless treatment up to Rs. 2 lakhs. After linking this scheme with the Ayushman Bharat scheme, the state government hiked the cashless treatment limit. Now, applicants will be able to attain free treatment amounting to 5 lakhs. Number of medical procedures assured – The Tamil Nadu government has highlighted that all registered people will be able to attain cashless treatment for 1027 ailments. Both secondary and tertiary procedures will be included in this list. Specified treatment centers – Similar to the Ayushman Bharat scheme, both state run as well as private treatment institutes will be empaneled under this scheme. The registered beneficiaries will be able to attain cashless treatment in any of these hospitals. Around 700 private nursing homes have been enlisted under Ayushman Bharat Scheme. Residential criterion – The scheme has been spearheaded by Tamil Nadu authority. Thus, it will offer benefits to people who are legal residents of this area. All interested applicants must have their residential certificates. Otherwise, they will not attain the benefits. Financial criterion – The state has highlighted that all such individuals, who do not have an income of more than Rs. 72,000 on a yearly basis, will fall under the scheme. So, applicants must have their income certificate, if possible. Social security benefit holders – The government has also announced that people who attain widow or elderly pension will be able to register their names under the scheme. Marginalized people – Applicants, who are associated with grey collar jobs, will be able to register for the cashless treatment benefits as well. Aadhar card – All interested applicants need to showcase their personal ID documents. The voter and Aadhar card will be necessary during the registration process. Interested applicants need not take pressure about the registration process.The state government will post Arogya Mitras in all empaneled health care institutes. These individuals have access to the system software. All registrations will be done via this computer program.Interested individuals must approach these help desks with their Aadhar cards. The Arogya Mitras will do the necessary background checks. If the applicant is eligible, then a special pass will be generated from the help desk. Applicants will be able to attain cashless treatment if they produce this pass. With the implementation of this scheme, the state government will be able will be able to extend a helping hand to as many as 1.58 crore people, living within the state.